Sustainability is not just about green buildings and carbon-neutral business practices. Bill Reed, co-founder of Integrative Design Collaborative, will tell you that. He’ll also clue you in to what it is about: Re-addressing the system through nature’s patterns, admitting there’s an awful lot we still don’t know (and even more things that we don’t know we don’t know) and designing our living systems to be both energy-efficient AND good for our well-being. We were lucky enough to sit down with Bill, who will Emcee the inaugural EcoDistricts Summit in October, about his vision for a better designed future and what it will take to get us there. Social Enterprises: Can you give us some background on your work and why the EcoDistricts concept is exciting to you? Bill Reed: I’ve been doing environmental work since the 1970s in passive solar energy, planning and architecture. From a building perspective, we were one of the early members of USGBC and founders of the LEED program—which was meant to transform the marketplace. It was never meant to define what green buildings are. My life’s work has been a search for how we do green buildings and create a sustainable society—but as two separate initiatives. Green buildings do not make a sustainable planet. What I’ve been doing is figuring out how we can integrate design and create integrated systems. SE: Is that similar to creating structures using bio-mimicry? BR: Bio-mimicry is about mimicking nature, but it’s not necessarily about integrating ourselves with nature. Integrated design takes into account multiple benefits from how all systems work together as whole—as an entire living organism. With building, you can either add parts to a structure—for instance you can add green attributes like sustainable paneling or efficient light bulbs—but that isn’t how to make a building effectively green because it’s lacking a sophistication of integration. The most simple example is making insulated windows a part of a structure, which does allow you to reduce the size of the mechanical system needed to heat and cool a building. Now if you integrate those systems (the efficient windows and the mechanical heating/cooling system) together you can actually save money on a building. So instead of just adding green components, you actually have to look into how they work together. That’s the beginning step of integration. The next level is how humans are integrated with all life on Earth—and the green building movement doesn’t really talk too much about that. That’s why we have to get into community planning—and that’s why I’m excited about EcoDistricts. Communities and/or watersheds of students of design can achieve a sustainable condition. You’re not going to make a green or sustainable planet with 100 million certified LEED Platinum buildings or 100 million living buildings. They don’t make a green planet. They make buildings that are less damaging to the planet. But it doesn’t heal the damage that’s already been done or make things work together in a synchronistic way with the living systems that are exist all around us. You’ve got to go a step further to get the results we need. SE: How do you see concepts like EcoDistricts, which are more focused on integrating systems into neighborhood scale projects, helping our cities be better at what they do—not only retroactively, but in future city planning as well? BR: When we talk about EcoDistricts, what we’re really talking about is a community. What we need to figure out is what the smallest system is that we can activate all the attributes of sustainability within—food, soil health, habitat health, watershed health, groundwater health—and still be self-sufficient. We have to define our terms. There’s no hard definition for an EcoDistrict or a place or a community, because all these systems are nested within one another. The work becomes about finding out how we work with complex, living, technical systems. How do we work with complex socio-ecological technical systems? This conference is an opportunity to explore that on a deeper level. One thing that is very important is the shift from working with pieces to working with patterns. You can glue all the pieces of sustainability in the world together—energy, water, infrastructure, transportation, social—and they’re still just pieces. It’s like gluing Humpty Dumpty back together again. You can’t really glue Humpty Dumpty back together again once he’s shattered. The only thing you can do is to start over—from a living systems perspective—and begin a whole new chapter with a new egg. It’s the living system that puts Humpty Dumpty back together. The thing is—living systems are incredibly complex. One reason we don’t work with living systems very effectively is because we try to treat them as if they’re a technical system. If you’ll let me get a bit geeky here, I’ll try to explain. There’s a difference between a closed system and an open system. A closed system is found in a watch or an automobile engine. You can map the way the pistons or gears work, and understand that system pretty easily. An open system, on the other hand, has multiple exchanges—which makes it very complex to map. The issue comes when we try to impose closed system thinking to open, living analytic systems. You remember that PowerPoint slide on the War in Afghanistan that made the cover of the New York Times a couple of months ago? It became a joke, because it showed incredibly complex diagram of the war, and somebody made this PowerPoint slide with a bunch of arrows connecting all the issues. And it was so complex that you couldn’t understand it. It was totally ineffective. That’s what we try to do with living systems. We try to draw all these arrows between pieces of them and it doesn’t work. The only way to really understand complex, living systems is through the patterns of life. The opportunity for a community or an EcoDistrict is to begin to work from patterns, not just from pieces and technology. One analogy to help explain nature’s patterns versus human technology—in other words, who we are versus what we are—is in the way that we approach both types of places—communities and EcoDistricts—by assembling a bunch of data together. Typically, we look at groundwater work, human systems, plant systems, animal systems, archeology, anthropology, infrastructure, carbon footprint, etc. We gather all that data and present it to you in a 3-5 foot tall stack and say: ‘Here’s the EcoDistrict you’re working.’ But we can’t understand it from that kind of data. That would be like me trying to understand you by describing what you look like. Let’s assume that you’ve got dark hair, brown eyes; you’re about yay tall and you weigh this many pounds. That’s you. Well we know that this information doesn’t really describe “you” very well. What we really want to know is who you are, not what you are. We want to know what you are too, but who you are is more important. And the only way to tell who you are is to look at how you interacts in relationship to the multitude of people you come in contact with—your partner, colleague, kids, parents, work colleagues, me, the dog on the street, strangers. Those relationships are invisible. But we can characterize the multiplicity of invisible relationships by learning how you behave within those relationships. There is a certain core essence or pattern to how you live your life. So what’s required for the community, city or EcoDistrict that we’re working with is to begin to work with “who” those places are, and how those complex relationships work. And when people begin to shift their understanding from sustainability just being about “stuff” and physical things, into an understanding that they’re a part of a living, complex system—that’s the beginning of a truly sustainable condition for humanity. SE: How do you think shifting our focus to working in micro-systems and in patterns translates into better, richer, fuller lives for people? Especially people around the world who might be living in a ghetto or a disadvantaged neighborhood—who don’t have access to the typical areas of development and gentrification? BR: What’s critical to understand here is that it’s very difficult to understand something until you live it. When we speak of a living system, we are speaking of it as a whole. That includes human beings and should address the quality of life for them as well as for the bacteria in the soil, plant habitat and animal habitat. Once people are engaged with how life works in a community, they begin to change themselves as a community. That’s been proven many times. Research done in the early 1980s on community gardens that sprung up all over Harlem on vacant lots shifted people’s sense of responsibility, care and love, if you will, for the place they lived. And it shifted how they valued themselves within that system. So this union of all life with humans is essential to understand. We aren’t separate from life. The question is: How do we start integrating ourselves again? When we treat life as abstract—as something there to serve us—then we lose touch with what the meaning of life is. You know, the two fundamental criteria for life—besides water, sun and soil—are nutrition and shelter. It’s sad, because the primary ways we’re destroying the Earth are through our shelter and agricultural systems. SE: What’s the value in gathering a “small group of committed citizens,” as Margaret Mead famously said, to tackle these issues? What do you hope to accomplish? BR: Hopefully we give people more than just talking points and provide them with an experience in a different way of thinking. We learned from an old Harvard study that if we talk to people we retain 10 percent of what we’ve heard. If we share ideas with people, we may retain 20-25 percent. If we exchange understanding, through dialogue, process and co-teaching, we might retain 40-50 percent. But if we create a developmental process, we retain 70 percent. That’s because a developmental process requires on us to acknowledge that we don’t know all of what we’re doing and that we have to think deeply about our role in a given system. How we’re behaving. How we actually improve ourselves. Practicing development means we’re actually creating new potential. We’re discovering and working at discovering new ideas. Hopefully at the EcoDistricts Summit we can share and exchange ideas and maybe do a bit of developmental work. But the best way is to actually practice something. To be on the ground and experience how things are working so that you internalize what happens. So what’s the role of conferences? It’s to expose people to new ideas and share experiences with them, so they can take them back and have the confidence to try things out on their own. SE: How is the future that you envision difference than the one we see today? What are some of the key elements we need to manifest to thrive? BR: The key element, to me, is that we’re humble enough to know that we don’t know everything. And that we have the will to learn. If we could always be in that state of humility, we’d have world peace in an instant. We know what we know—that’s 5 percent. Maybe another 5 percent is that which we know we don’t know. The remaining 90 percent is that which we don’t know we don’t know. If we could actually engage in and have time to exchange in a way that we’re able to discover ideas and systems we’re entirely unaware of right now—we’ll be in a great position to create positive change. SE: Anything else to add before we wrap up? BR: I think I’ve ended up launching into some pretty deep territory, but this is the situation we’re in today. Dealing with these issues of integration and patterning is where the sustainability movement needs to go. I’m hoping that all the technologies and infrastructure we’re playing with will lead us to address those very pressing questions. In the context of this event, I’m delighted that Portland is leading the way in looking at community in a much richer context. And everything that I’ve spoken about today is not to say that all the technological work we’re doing is bad. It isn’t and we absolutely need to do it. But it’s not the end game. It’s an insufficient means to cover the whole story. 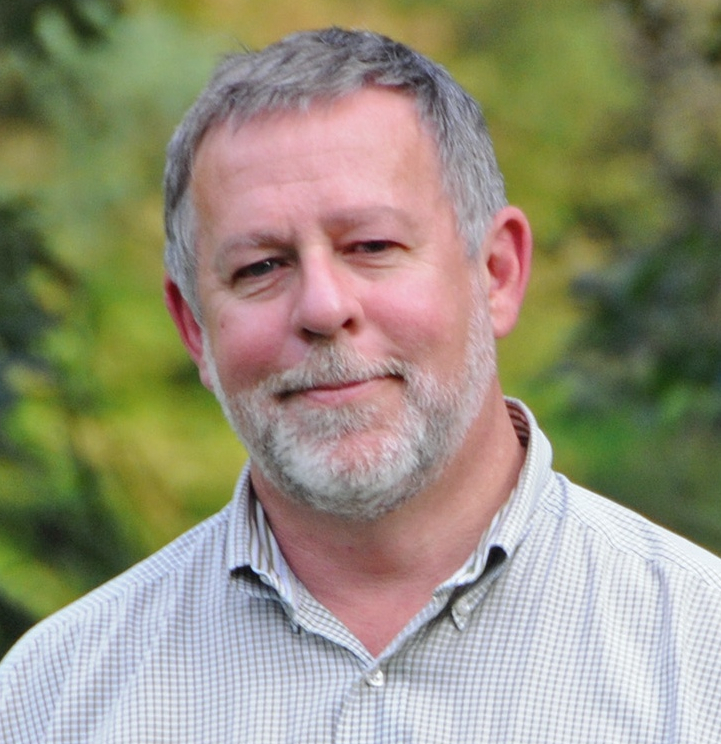 Bill Reed is the Principle of Integrative Design Collaborative, Regenesis, Inc., and Delving Deeper. He’ll also be Emcee at the inaugural EcoDistricts Summit put on by Portland Sustainability Institute, October 25-27, 2010, in Portland, Oregon. To learn more about the EcoDistricts Summit and to register, visit: http://www.ecodistrictssummit.com/register.html. 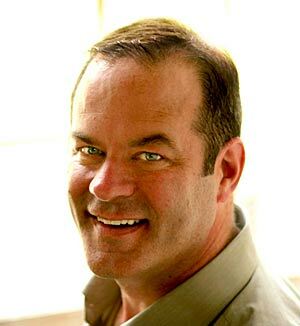 To learn more Bill Reed and his firms, visit our speakers page: http://www.ecodistrictssummit.com/speakers.html.